My lovely friend scored this gorgeous book at a garage sale for me! 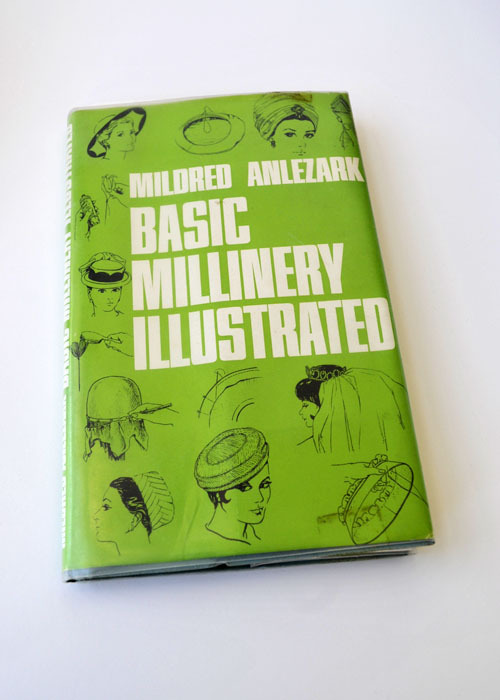 I was thrilled at such a great and thoughtful find. 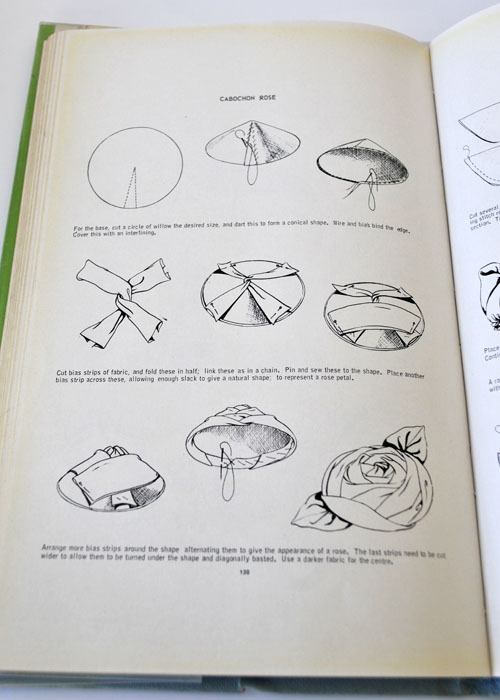 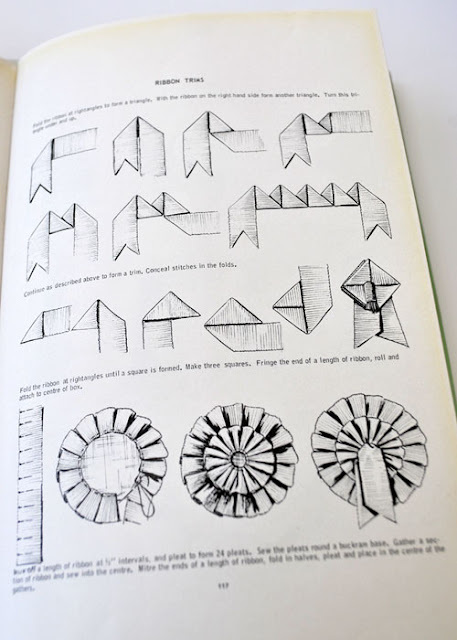 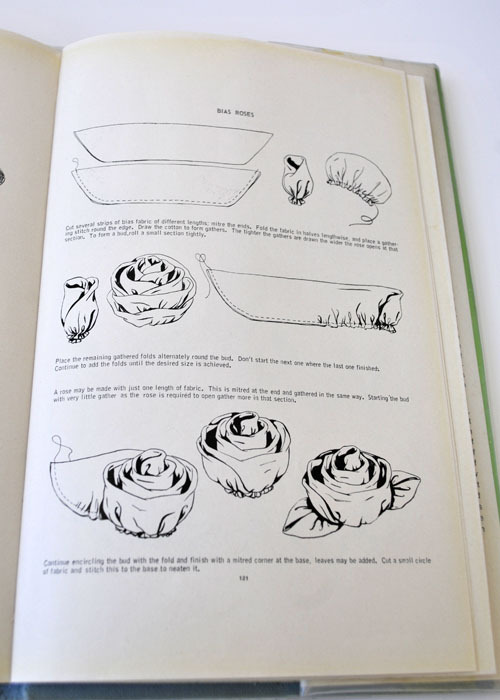 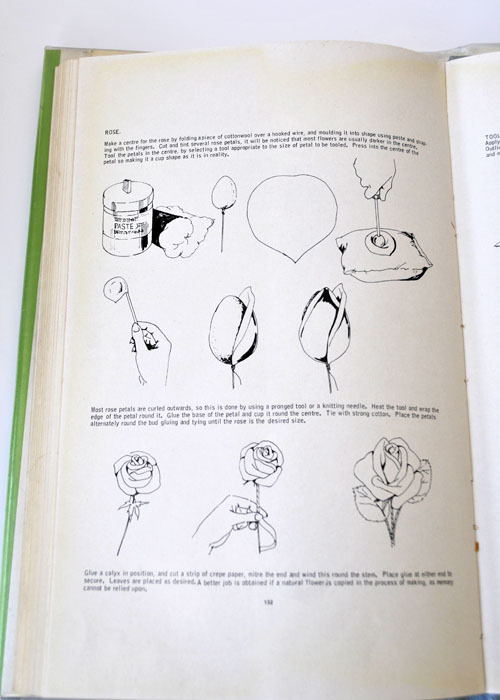 When I first bought my French flower making tools I found there wasn't much visual information on how to use them, this page would have been useful! 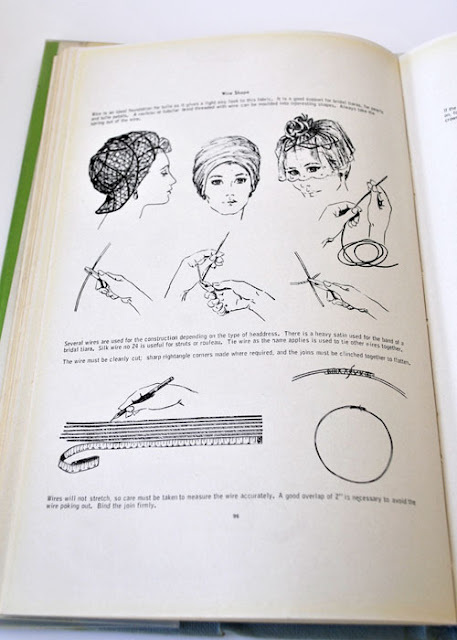 I have since found a fair bit of content on you-tube and millinery blogs, Myra Callan has also put out a gorgeous book called Adornments if you are just starting out and want tips on how to make hair accessories. 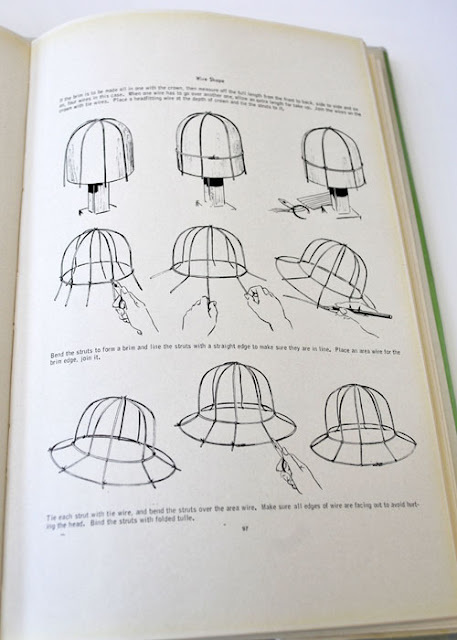 This book is filled with lots of hat making patterns and tips but also some finishes and trimming tricks. I have had a play around at a couple of flowers but need to spend more time devouring each page. Enjoy!